Why Should You Care About Dynamics 365 Release Cycle? Microsoft is a pioneer in the computing world and it has reached unimaginable heights with its vision. A vision that has led to the development of enterprise-level solutions which can be sworn by. The Microsoft Dynamics 365 is one such solution which claims to be the only cloud-based system that combines the customer relationship management (CRM) and enterprise resource planning (ERP) in one Software. There is Dynamics 365 for sales, marketing, field service, customer service, etc. You name it and they have it. It is an ideal choice for people who are already addicted to other Microsoft offerings like Excel and Outlook because of its effortless integration. 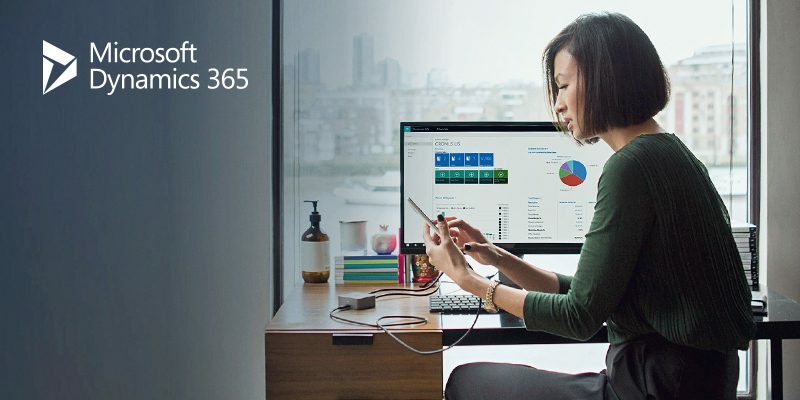 Best-in-class technologies, unparalleled service, and I can go on and on about the Dynamics 365. But, the intent of this blog is to apprise you about the release cycle and why it should matter to people who use Dynamics 365. So, let’s get started. Presently, Microsoft follows a bi-annual cycle for releasing updates. For those using cloud-based subscription, the update is automatic and for the non-cloud edition, it can be manual. Generally speaking, there are numerous reasons for you to update your Software. Sometimes, it is just to make use of the new features and at times you have to update because your operating system no longer supports the old version of the Software. You might think the same way for Dynamics 365. But, that should not be the case. Let’s see why you need to rethink. Updates Can Lessen Your Routine Work: So, you or your team in used to working in a fashion and then there is a new release which you think will affect the routine work negatively. You decide to ignore the new updates for as long as you can. What if I tell you that the new release had features which would help your team complete the routine work in far less time? For example, according to the release updates (I will be referring to this frequently) on Microsoft website your routine work involves saving a list on workspace. In previous version, you had to do this from the List page, but the new release version allows you to save this as a link which is far handier. Updates Keep You Informed About Industry Practices: Yes, this is true. Solution providers provides a whole lot of money in researching and developing solutions which will meet the latest industry requirements. They conduct surveys to understand the gaps in the market and customize solutions to fill in those gaps. For example, Dynamics 365 switching to cloud is a clear indication that in coming time, cloud-based technologies will thrive because of the ease that they bring. As a business owner, it prepares you for the future trend. You can be better equipped to move to a new technology even if some of the teams are already making use of it and are aware of intricacies involved. Updates Can Broaden Your Work Perimeter: There were times when work was limited to office premises. The technology shifted gears and involvement of computers allowed people to access and respond to e-mails from different places. Now, it is even better. With the smartphone revolution, you can do a lot of work-related tasks from your phone. But, this requires a Software that provides mobile applications. This is exactly what latest releases offer. For example, the latest release of Dynamics 365 for Operations makes it compatible with Android devices. And, you don’t need me to tell you how widely Android is used throughout the world. These updates allow employees to work beyond the traditionally established perimeter. Updates Can Resolve Your Concerns: You have been using Dynamics 365 for a long time now and are concerned about training new team members because the version you use does not have descriptive tooltips. This limits the new team member from exploring new buttons as they are apprehensive about doing changes that might be permanent. This concern has been addressed in the new release. But, just because you kept ignoring the update, you never learnt about how this issue was addressed. Even if you are not up for installing new updates readily, you can always look at the release notes to be sure that you are not missing on anything important. It becomes important to be aware of the release cycles because updates can help you big time in making strategic decisions. With that said, let’s wait for what the upcoming release would offer. If you are as impatient as me, take a look at the work in progress plan for Dynamics 365. All the content shared in this post belongs to the author of dynamics 365 development company. If you wish to share your thoughts regarding the Microsoft Dynamics, comment below. Previous PostWriting Career for Freshmen: Top Freelance Jobs to Try From Home Next Post Why Is Mobile Defense System Development One of the Most Promising Businesses of 2017?